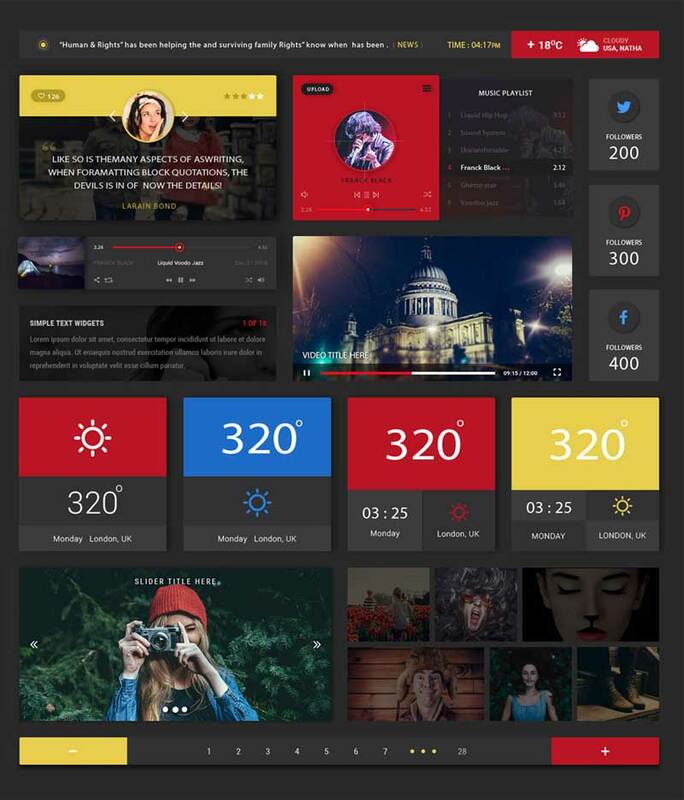 This free Blog UI Kit has a solid black background and loads of customizable colorful and interactive boxes each displaying a unique content, this is a perfect UI kit for your blog. You can resize the boxes according to the content category and provide your readers an interactive platform. So, download this creative graphic freebie and use it in your own way.